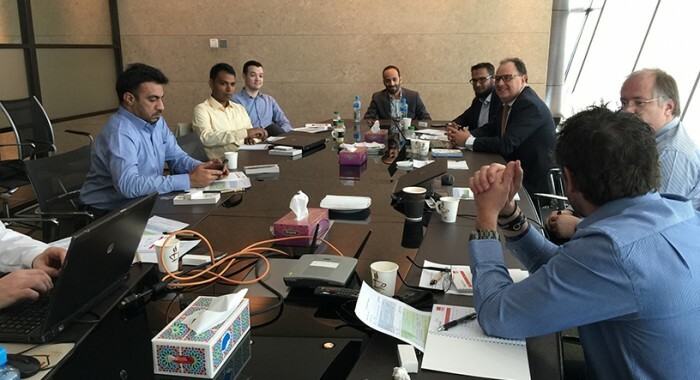 During the end of last month some of our colleagues from across borders paid us a welcome visit to our operations in Bahrain for the annual Indaba meeting. This Indaba focused around a series of meetings, as well as team building activities, delivering happiness and motivation workshops and discussions with Finance, HR and IT, as well as discussions focusing on critical issues. The focus on some of the discussions was to get an overview of the successes and failures of 2015 and how they can do better this year in terms of compliance, consumption costs and winning new businesses in 2016. It was great to see them all in Bahrain and we hope they make a visit again soon!